Effects: Brocade crown to green peony, red and white glitter chrysanthemum. 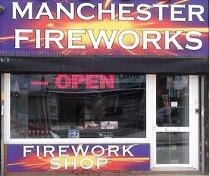 Maintaining a safe distance when using any fireworks in your own garden is essential. 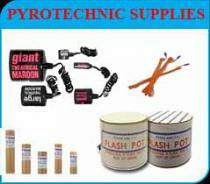 Make sure that the firework is properly secured and that it can not fall over. The recommended distance of this firework is 25 metres, and there is a full instruction guide on the outside of the barrage. This is a 1.4g class firework. Its difficult to know what any firework is going to look like without actually lighting it. 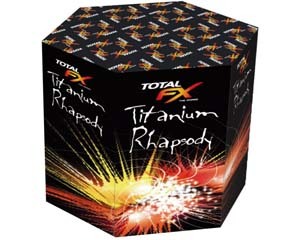 To see exactly what the Titanium Rhapsody Cake firework looks like watch a video of the display here.